Bloomsbury USA Childrens, 9781599903347, 320pp. When Lucinda Chapdelaine was a small child, her parents left for the royal ball and never returned. Ever since, Lucinda has been stuck in perpetual servitude at her evil aunt's jewelry store. Then, on the very same day, a mysterious visitor and an even more bizarre piece of jewelry both enter the shop, setting in motion a string of twists and turns that will forever alter Lucinda's path. 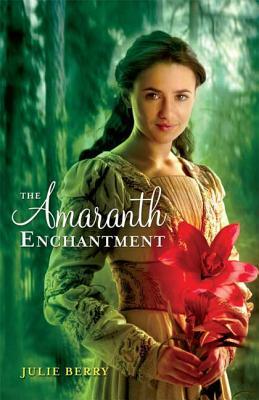 In this magical story filled with enchanting surprises, Lucinda will dance at the royal ball, fall under the Amaranth Witch's spell, avenge her parents' death, restore justice to a town that does not yet know the corrupt danger around them, and maybe - just maybe - Lucinda might capture the heart of a prince.